Reid Hans, a three sport high school athlete, is being honored with the SD Tennis Achievement Award for over 25 years of varying contributions to grow the game. The novelty is this: he knew NOTHING about tennis until after graduate school at St. Cloud State University at the age of 29. Friend and boss Noel Olson, the athletic director at St. 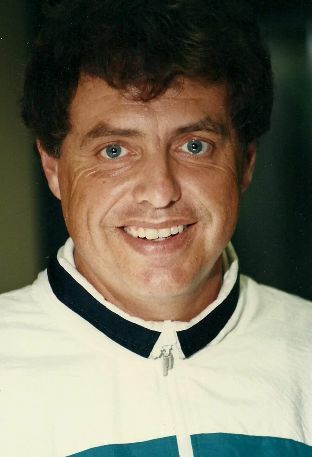 Cloud, had just hired Reid following Hans earning his masters in health, physical education and recreation in 1975 to be business manager at the college, and assist with coaching basketball and baseball. “We stopped at the local hardware store,” said Reid, “and he bought me one for $2.95.” Noel told Coach Hans, at a minimum, keep order with the team and drive the van safely. Reid looked at the schedule and saw the second match was with the University of Minnesota of the Big Ten Conference. “I called Gopher coach Jerry Noyce,” said Reid, “introduced myself as coach at St Cloud, and that we play you in a couple weeks, and I know nothing about tennis.” Noyce invited Reid to the Gopher campus and helped him get started. So you had the rookie tennis coach at the second biggest University in the state, getting helpful hints from THE biggest University in the state, a perennial power of the courts. That relationship between Hans and Noyce would prove to be a key to Reid’s future in the world of tennis. Reid, son of John and Signe Hans, was the youngest of three children who grew up in Clinton, MN (20 miles northeast of Milbank, SD). He graduated with 33 other students, where he was the quarterback in football, the point guard (at 6’-1”) in basketball and pitcher on the baseball team. Before grad school Reid took his teaching skills to Bertha-Hewitt High School, 60 miles north of Alexandria, MN, where he taught physical education and was head basketball, head baseball and assistant football coach for two years. When Olson moved to Sioux Falls as commissioner of the North Central Conference, friend Hans soon joined him, starting in 1984. Hans is credited with saving a laboring tennis club, Woodlake, from being a carpet warehouse. 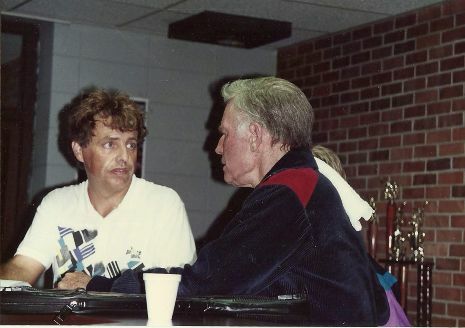 He sold the business in 2003 and the club was renamed Sioux Empire Fitness, a full service club with emphasis on fitness and also swimming, to go with tennis. By 2009 the club was in financial straits, headed toward again becoming a carpet warehouse, when Reid returned and started over again, from scratch, rebuilding the club. Hundreds of juniors benefited from the chance to play year round, indoor tennis in South Dakota. During his return to Sioux Falls, Reid was also involved with Midtown Athletic Club in Sioux City, IA. In addition, over the years, he has worked as a manager/ consultant at clubs in Louisville, Evansville, Grand Forks, Fargo and Green Bay. “The whole key is managing tennis pros,” said Reid. Reid’s short time from work is spent in Eden Prairie, MN on weekends where he lives with his significant other, Patsy Redfield. He drives to Sioux Falls Monday to be at work by 9 a.m. and drives back “home” Friday afternoon. 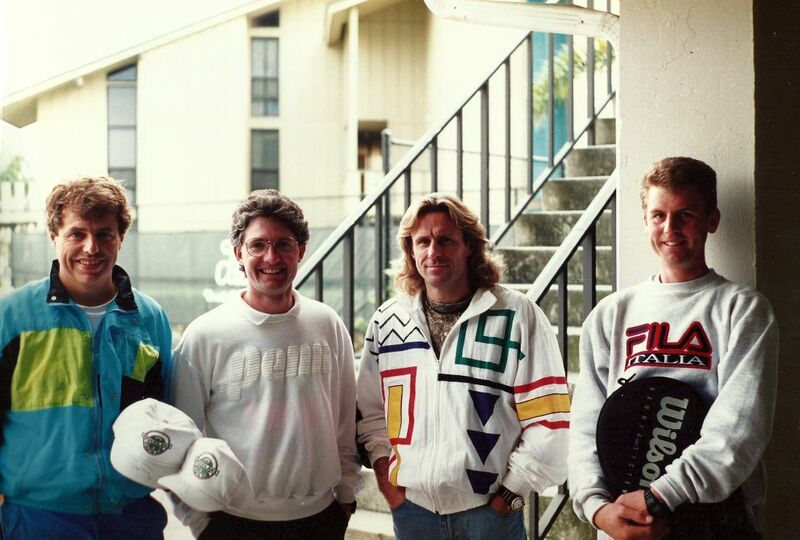 Looking back, Reid is also proud of his many years of service to what is now called the Northern Section, USTA. In the day, it was the Northwestern Tennis Association, which reached its lowest point, financially, as an organization in the late 1970’s. Reid, who’d served on the Section’s board of directors as one of the few outside the Twin Cities, recalls a very important annual meeting. From Noyce and others, Hans learned about running tournaments and has had a hand in several Sectional events, both in Sioux Falls and St. Cloud, the National Public Parks in Sioux Falls, and the National boys 18’s in Louisville. “The Bryan brothers won singles and doubles both years,” said Reid. So, for a “jock-of-all-trades” who loved sports growing up, tennis has been his passion and the tennis world over several states has benefited.